Nowadays, it is common to find people taking a break from their routine chores to go on a holiday. Not only does the beauty of the destination play a massive part in making a holiday memorable, but, in addition, the quality of holiday accommodation is also crucial when it comes to enhancing the overall level of a trip. It’s only when all these aspects work together cohesively, does the holiday become a super success and truly enjoyable. Port Douglas, Queensland, Australia is one destination that has been lauded consistently by tourists and industry experts alike. The place is filled with infinite natural beauty and is located near some of the most stunning World Heritage Sites. Right from the popular Great Barrier Reef to the Daintree National Park, there is no shortage of terrific spots in Port Douglas. There are also a number of Port Douglas holiday accommodation options that offer the best of comforts in a personalized manner. 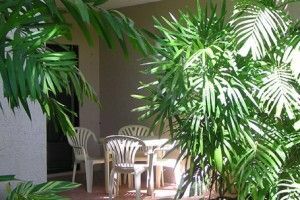 One such provider of comfortable and spacious Port Douglas holiday accommodation is Nautilus Holiday Apartments. Nautilus is a leading holiday accommodation complex in Port Douglas. What makes them a cut above the rest is their unflinching focus on fulfilling the needs of their customers. Nautilus offers spacious 2 and 3 bedroom holiday apartments that are fully self contained and spacious. Whether you are travelling alone or with family, you can rely on Nautilus to provide you only a tailor-made package. At Nautilus Holiday Apartments, you will be able to unwind in a heated saltwater pool. Also, the complex consists of a tropical style setting with a barbecue area. Located near the Macrossan Street, Four Mile Beach and the Marina Mirage, the holiday apartment has been able to serve the needs of a vast array of customers. Port Douglas holiday accommodation. Ring us today to make your booking…we’d love to see you. 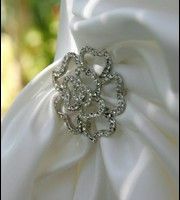 Weddings are such a beautiful time filled with love and happiness but can also be one of life’s most stressful times. That’s why at Nautilus Holiday Apartments we offer you romantic wedding accommodation for the bride and groom and their respective families, basic ceremonies and celebrations. One of our greatest advantages in helping you organize your wedding is our priceless local knowledge. It’s those fine details that you need to know when organizing your wedding. 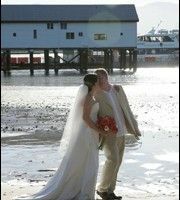 Port Douglas is the ideal wedding venue with stunning 4 Mile Beach, Anzac Park and St Mary’s By The Sea offering a range of settings for the ceremony and photos. Home to a number of award winning restaurants, you will be spoilt for choice when it comes to choosing a menu and restaurant to celebrate your first meal as husband and wife with friends and family. A top holiday destination, Port Douglas is also the ideal honeymoon destination. Explore not only the Great Barrier Reef Reef but the Daintree Rainforest. Both World Heritage Listed and a must to explore and enjoy while on your honeymoon. 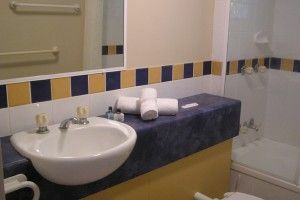 Stay at Nautilus for a great range of fully self contained and spacious accommodation. All apartments are spacious, modern and comfortable, perfect wedding or honeymoon accommodation. Make your wedding a memorable one and book it with us at Nautilus Apartments today and enjoy your wedding in paradise and romantic Port Douglas accommodation after the big day. Ring us today, we’d love to help you with your Port Douglas wedding and associated accommodation for the happy couple, friends and family. Organising a wedding can be a very stressful time with so much to organise. This blissful once is a lifetime event is often followed up with a honeymoon with your new partner to relax, unwind and spend some quality time together as man and wife. The choice of honeymoon destinations can be extensive but Port Douglas in tropical north Queensland is the ideal Queensland choice for your holiday together. Nautilus Apartments offers the ultimate base for a tropical escape on your honeymoon. 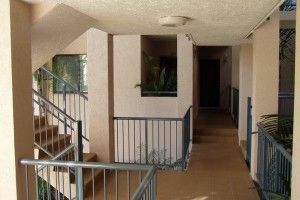 Nautilus Apartments offers 2 and 3 bedroom fully self contained Port Douglas Accommodation. Situated a short 2 minute walk to beautiful 4 Mile Beach with its white sand and palm tree fringed beach and just 8 minutes to Macrossan Street with its alfresco dining and boutique shops. 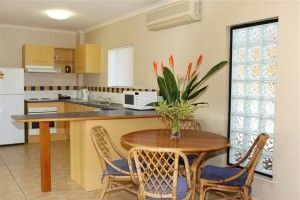 Each Port Douglas apartment is fully self contained with features that include full kitchen, laundry, air conditioning in each room and a spacious interior. Relax by the heated saltwater pool set in landscaped gardens. The Port Douglas region is also close to The Great Barrier Reef. 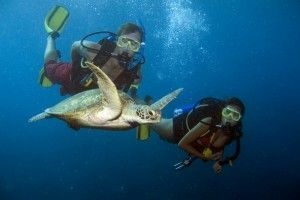 Enjoy a day trip snorkeling diving or just swimming with the wide array of marine animals that call this area home. The Daintree Rainforest, the world’s oldest rainforest is a World Heritage Listed site that is also worth a visit while in Port Douglas. See ancient flora and Australian fauna up close. Head towards Cairns and spend the day at Kuranda wandering the markets and this eclectic village in the rainforest. Sail to the Low Isles….perfect and particularly romantic at sunset. With so much to see and do in Port Douglas it is the perfect honeymoon destination and Nautilus Apartments offers the perfect Port Douglas Honeymoon Accommodation. Ring us today we would love to book your accommodation and help make your honeymoon memorable. Looking for accommodation in Port Douglas? 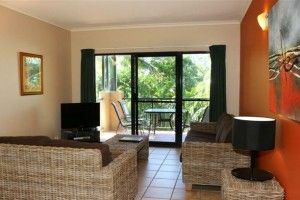 Nautilus Holiday Apartments is a desirable prospect for every traveller to the Port Douglas region. Every Port Douglas apartment here is spacious and comfortable with facilities included to ensure a comfortable and enjoyable holiday. Your relaxation is assured every moment with the comfy bedrooms and fully equipped kitchens comprising all the resources such as microwave oven, refrigerator, etc. With so much to do in the Port Douglas region, Nautilus apartments is an ideal holiday base. 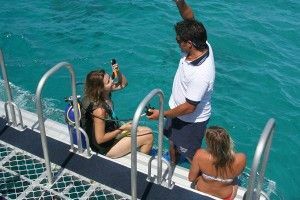 Explore the beautiful Great Barrier Reef…swim, snorkel or dive the choice is yours when you take one of the day tours to discover the reef. The Daintree Rainforest offers the opportunity to discover this World Heritage Listed National Park. You will be spoilt for choice when it comes to deciding on which day tour to choose. Swim, snorkel or dive the Great Barrier Reef. Wander, discover and enjoy the Daintree Rainforest. There are great choices on offer that will suit all family members. Wander the length of 4 Mile Beach and enjoy its palm tree fringed beach with safe swimming zone and white sandy beach. Shop Macrossan St with its range of boutiques and enjoy varied dining with cafes and restaurants to choose from. Visit the weekly markets in Anzac Park and stock up on local produce and artisan products. Close to the main street of Port Douglas, beautiful 4 Mile Beach and the shopping and dining precinct of this area…..Nautilus Apartments are the perfect choice. Ring us today to make your booking and get ready to enjoy great Port Douglas accommodation at Nautilus Apartments. 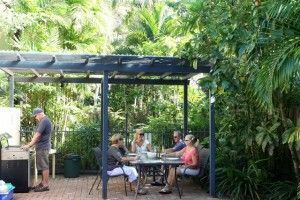 Are you looking for Port Douglas self contained holiday apartments that includes everything you need for a memorable holiday? Nautilus holiday apartments in Port Douglas is the answer, close to the heart of Port Douglas and only minutes from popular 4 Mile Beach. Even though it is an incredibly popular tourism destination, Port Douglas still manages to remain a sleepy, relaxed town in North Queensland. Port Douglas is the ideal tropical holiday destination from which to base yourself for your next getaway. Dive, sail or snorkel the Great Barrier Reef or take a day tour to visit World Heritage Listed Daintree Rainforest. 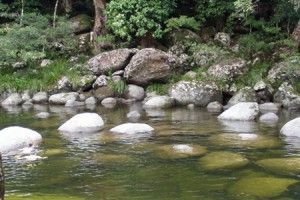 Both stunning protected sites are a must do on your Port Douglas holiday. After a big day out exploring the region, return to your holiday apartments to relax, unwind and enjoy dinner by the onsite pool and adjacent bbq and undercover area. All holiday apartments are fully self contained with well equipped kitchens, spacious interiors, air conditioning and modern decor. 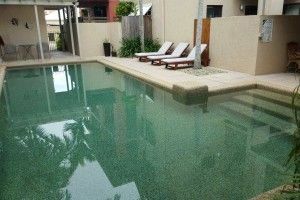 With so much to offer, it’s hard to overlook Nautilus holiday apartments…Port Douglas self contained holiday apartments. Ring us today to make your accommodation booking.